In the 1860s and 1870s landowners on the Shetland Islands, north of Scotland, began a process of clearances that deprived tenant farmers, or crofters, of access to land. 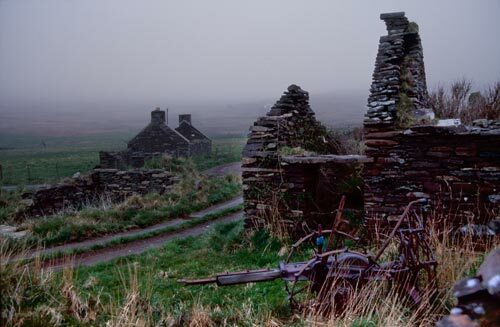 The evicted crofters left behind their stone houses. Many migrated to New Zealand bringing with them an appreciation of the value of land ownership, and of the independence and security it can provide.